2012 will be remembered in the web/digital design industry as the year when we endlessly debated the benefits (or otherwise) of Responsive Web Design. Doubtless, responsive web design has a bright future but what impact will it have on analytics and conversion rate optimisation? How did responsive web design evolve? For those who care to remember (or more appropriately those who can) even up to the mid-naughties the web industry was designing for primarily one experience – the PC experience. Laptops and desktop computers were treated as one entity. Mobile phones were for texting, picking up email particularly if you had a Blackberry or dare I say making a phone call. Tablets were for easing hangovers or the figment of sci-fi writer’s minds. Move forward through the last 6 years and the plethora of different and usable (remember, we had many internet mobile devices before 2007 but they were often not practical) internet- enabled devices have grown without precedent. We now have PCs with screens ranging typically from 19 to 30 inches (with a multitude of screen resolutions), laptops ranging from 11 – 17 inches once again with many resolutions, smartphones with many resolutions, tablets (different sizes and resolutions), games consoles and internet TVs. Delivering effective web content to different devices has become far more challenging. For the web designer and front-end developer the considerations are no longer just browser compatibility but device compatibility as well. What are my website design options? On a practical level all 4 options have their merit depending on your time, budget and skilled resources available to you. Current received wisdom (although clearly not everyone’s opinion) suggests that a responsive web design should be the vision and aim for every serious online business/site. This means from a site owner ‘s perspective you update your website once and the site presents the content in different but appropriate ways depending on the device (or size of the window) being used by the end user. Sounds great doesn’t it, and it is if implemented well, it can be very effective. I’ve read a number of blog articles that have written off technology metrics as not being particularly useful compared to more “sexier” reports. However we believe 2013 will see the return to favour of these reports due to the multi-device world we now live in. Segmenting your key reports with technology dimensions (such as device, screen resolution, window resolution, browser and operating system) often produces some very useful insights. Bear in mind that whichever analytics tool you use, you should understand how it collects technology dimension data. Notably many of the standard web analytics tools are not entirely accurate when they try to identify specific mobile devices, although this is improving all the time. 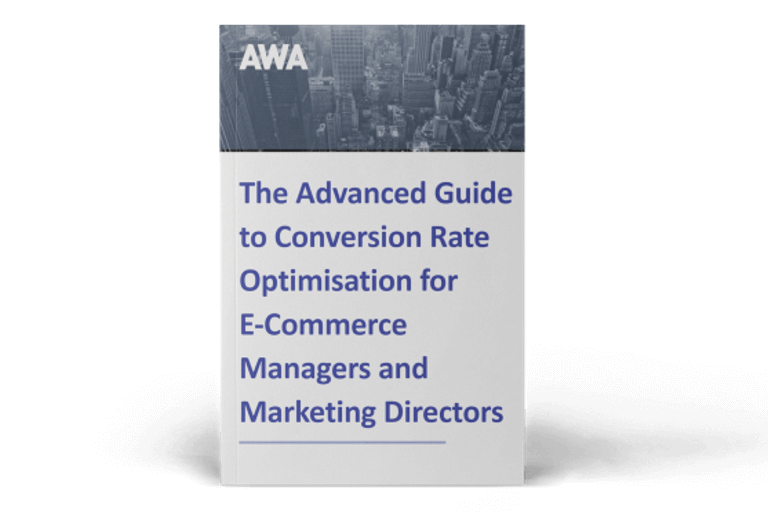 With these dimensions you should be able to start analysing much more effectively how well your responsive website is in delivering content and sales across a range devices. If you haven’t already, it’s probably a good time to re-analyse your analytics data using your renewed friendship with the technology dimensions and understand your key customer journeys. In particular if you have sufficient data you should be able to start creating hypotheses as to what role different devices play in your key customer journeys and conversion funnels e.g. how many of your prospects/customers access your site with a mobile device at some point through the buying process? or Are mobile devices used for research and PCs for purchase? Without a hypothesis to start with it will make any future testing and a CRO strategy very difficult to implement. We are now on the cusp of the most important change in digital/web analytics. Traditionally we have analysed data and traffic based on visits. With a greater understanding of what we are trying to measure and the growing sophistication of tools available to us we are now in the position to attempt to record a visitor’s journey across visits and across devices i.e. the full customer journey and potentially even off-line activity. Although we are still very much in the early days this focus on visitors rather than visits is key to understanding how users use your site across different devices along the customer journey. Without this you will be analysing visits in isolation rather than in the context of the journey which in turn will make it difficult to truly understand how your responsive website is working for you and take appropriate action when your site isn’t working for you. 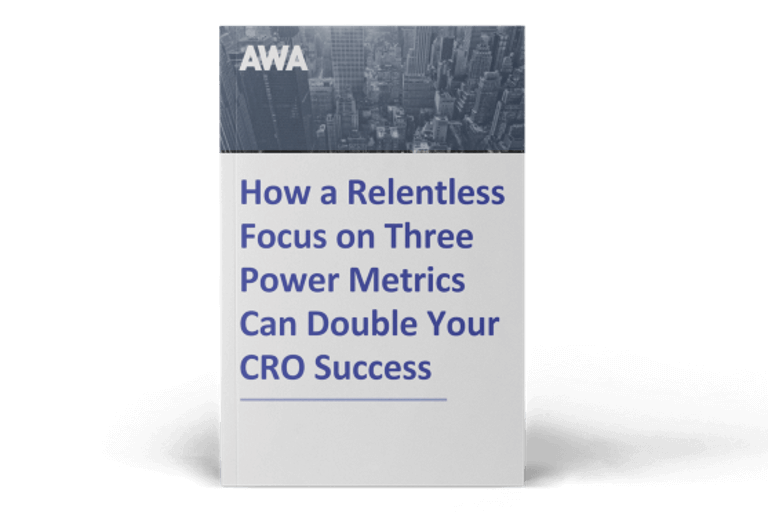 A solid CRO strategy is always underpinned by a solid analytics setup (both people and tools). The 3 specific analytics requirements detailed above are essential to delivering effective testing on a responsive website. Again, 3 important actions to take. Even if you have all your analytics data available to you and you have created some insightful hypotheses I can’t stress enough another pre-requisite before jumping into your favourite testing tool. Before fiving Visit your site with as many devices as possible and experience first-hand what the site is like. It is important to note there are a number of different techniques within responsive design. Ask your development team, in particular your lead front end developer how the site has been built in a “responsive” approach and understand which particular method was adopted i.e. what was the thinking behind it? Or what customer needs are being met with the chosen approach? Qualitative tools can bring to life the reasons why your site is or isn’t working effectively. Usability testing, eye-tracking, in-page analytics tools and surveys can provide incredible insights when used correctly. More and more companies are now using such tools to ensure a positive customer experience is maintained across devices e.g. Whatuserdo.com which offers a cost effective remote usability testing service is now providing this for mobile and tablet devices. 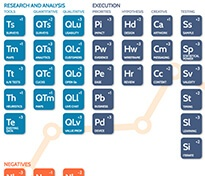 We strongly suspect 2013 will be the year when qualitative analytics/insight tools will have to provide mobile/tablet related services as standard to maintain their position in their marketplace. Testing at the best of times is time consuming and requires patience. Testing for a responsive website requires even more time, patience and attention to detail as you may have to create subtly different variations on the same test depending on the rendered experience being served up to the end user. On occasions it may be appropriate to test a variation on only one device experience typically the PC one and then roll our across other rendered views once you are confident the test has initially worked on the PC. Equally you may only want to test on a certain rendered view e.g. a tablet because the tablet experience for your particular business/site has a very specific role in the customer journey. A number of the leading CRO tools such as Visual Web Optimiser and Optimizely are now offering testing specifically for responsive websites. So, what is your view on responsive web design? In this new responsive world there will be significant learnings to be had over the next 12-24 months that I am sure we will blog about. If you have had some interesting experiences with analytics/CRO for a responsive website we would very much welcome your comments and views.